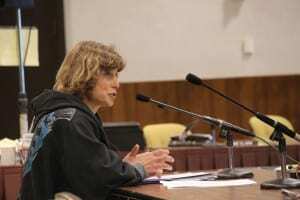 Longtime Sitka resident Linda Behnken has been appointed to the six-member International Pacific Halibut Commission. Behnken, whose name has been under consideration for the international panel for some time, was appointed on June 22, shortly after the prior Alaska representative was fined for overfishing. 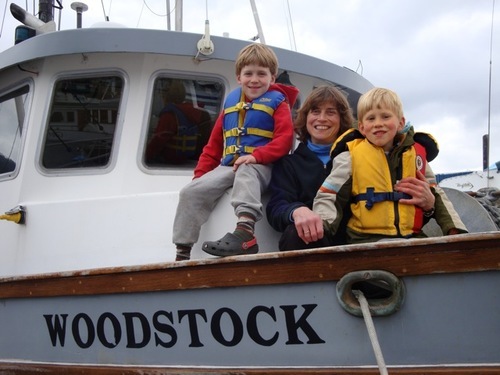 Linda Behnken has been at the center of some of the most important decisions in groundfish policy in the North Pacific. During her nine years on the North Pacific Fisheries Management Council — the regulatory body overseeing fishing in federal waters offshore of Alaska — she was instrumental in banning bottom trawling in Southeast, and she was an architect of individual fishing quotas for halibut and black cod. The International Pacific Halibut Commission sets harvest limits for commercial fishermen across the Gulf of Alaska. Her appointment to the IPHC comes at a time when that organization also is rethinking its long-standing management policies. Behnken has been the executive director of the Alaska Longline Fishermen’s Association in Sitka for most of its history. She’s been a strong proponent of science-based management, but she also understands that the IPHC is where science and politics sometimes meet. Behnken is one of six commissioners — three from the US, three from Canada — who determine the annual halibut harvest. They have an extensive organization and research staff behind them, based at the University of Washington in Seattle. Behnken says the appointment comes with the obligation to take a broad view of the industry, and of halibut fishing across the gulf — and not just off Southeast Alaska. Nevertheless, she gave this interview while running her boat out to go longlining for black cod. Becoming a commissioner will not erase who she is. Behnken’s appointment is considered interim until it is actually confirmed by the sitting US President — a process that has no predictable timeline. In the meantime, Behnken will enjoy full powers of a commissioner. The IPHC has been in the news recently — not all of it good. Behnken’s predecessor, Jeff Kauffman, resigned his appointment after agreeing to pay a shared fine of $49,000 with two colleagues for overfishing halibut in 2012. The fine was levied by the National Oceanic and Atmospheric Administration’s Office of Law Enforcement. Kauffman and the two other men reportedly exceeded their combined quota by 10,000 pounds. Kauffman is a resident of Wasilla. He is the vice-president of the Central Bering Sea Fishermen’s Association.